It’s not just your imagination, NASA t-shirts really are everywhere now. Not only are these shirts popping up at your favorite retail stores, a new wave of NASA themed collaborations are appearing all over the fashion world. But why? An easy answer is nostalgia. Both of the NASA logos (the classic red “worm” and the newer “meatball”) have a wonderfully retro look that translates well to a t-shirt design, but it’s also possible that there’s an economic incentive at play too. As a government organization, NASA does not require licensing process or licensing fee to be paid for the usage of its logos. My personal theory is that this current boom was sparked by the popularity of a pair of astronaut-themed shoes designed by the artist Tom Sachs. In 2012, Sachs and Nike teamed up to release the “Mars Yard” sneakers, which were inspired by the quirky “Space Program” installations that Sachs was making at the time. These shoes became instant classics and are covered by sneakerheads around the globe, sometimes selling to collectors for over $2,000. After the popularity of these shoes, more and more street brands started dabbling with NASA themed logos and designs. So these shoes were just slightly ahead of the trend or the current wave of NASA inspired fashion was the result of an artist who was known for making spaceships out of plywood and glue. You decide! P.S. It’s been fun guest-posting these past two weeks. Rusty returns next week. Some repurposed art from NASA’s guide to hand soldering (link below). 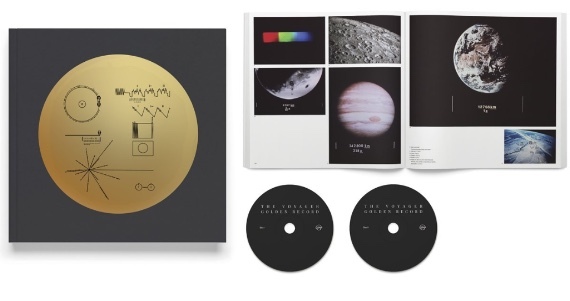 Solid Gold: A full-color book and two CD set collecting the sites and sounds of the Voyager Golden Record ($40 on sale). 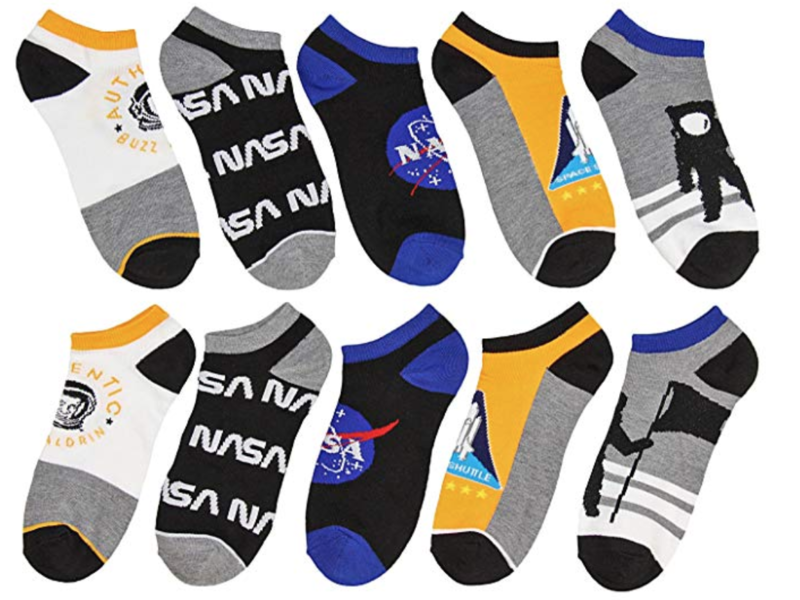 Aldrin Approved: Want to secretly rock a pair of space socks? These no-show ankle socks are for you then (5 pairs for $15). 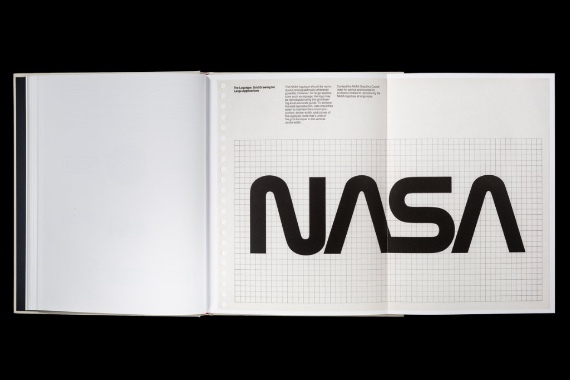 The NASA Graphics Standards Manual: A well-made replica of the classic guidebook ($79). 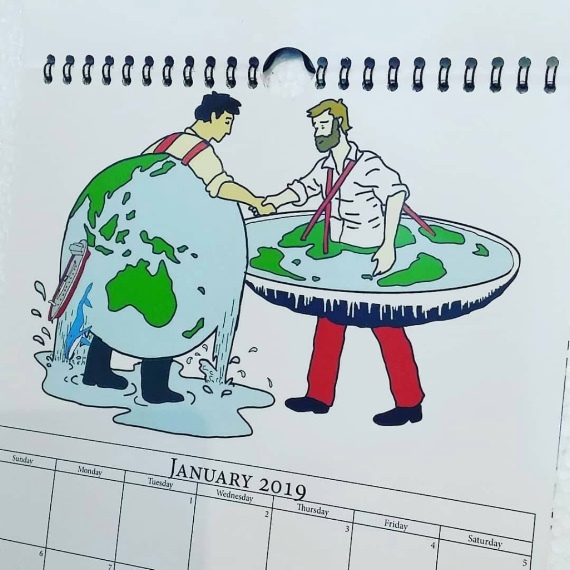 The 2019 Flat Earth Calendar: Not just calendars, this whole Etsy shop is filled with things for people who think the earth is flat. 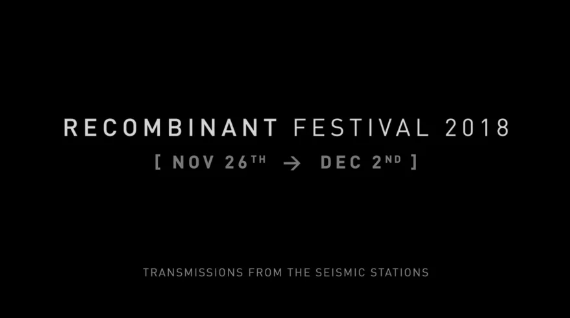 San Francisco [Through 12/2] The Recombinant Festival is an experiential art show that mixes sound and visuals in truly amazing ways. Our co-editors, Carolyn Anhalt & Joyce Slaton, have another week off.